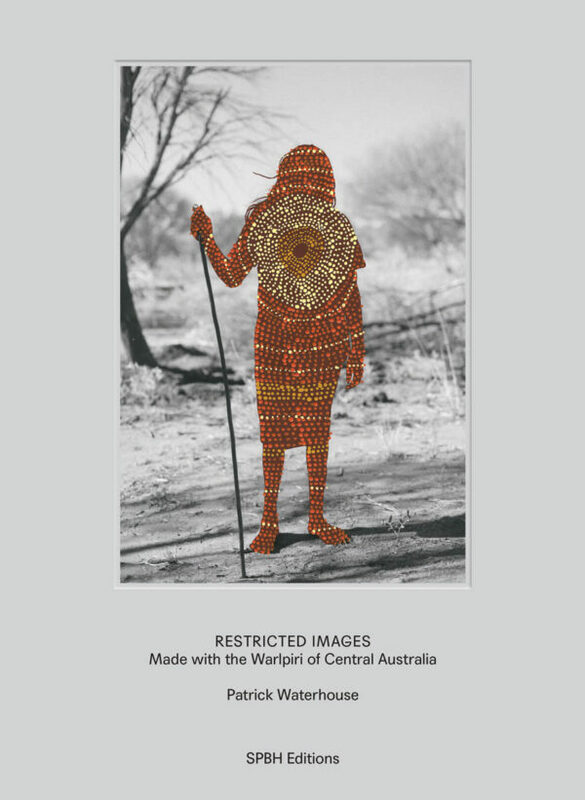 In institutions across Australia and Europe, access to archives of colonial-era anthropological artifacts is now often restricted to avoid showing imagery that infringes on Aboriginal cultural beliefs; often only the descendants of those depicted can decide who is allowed to access them. 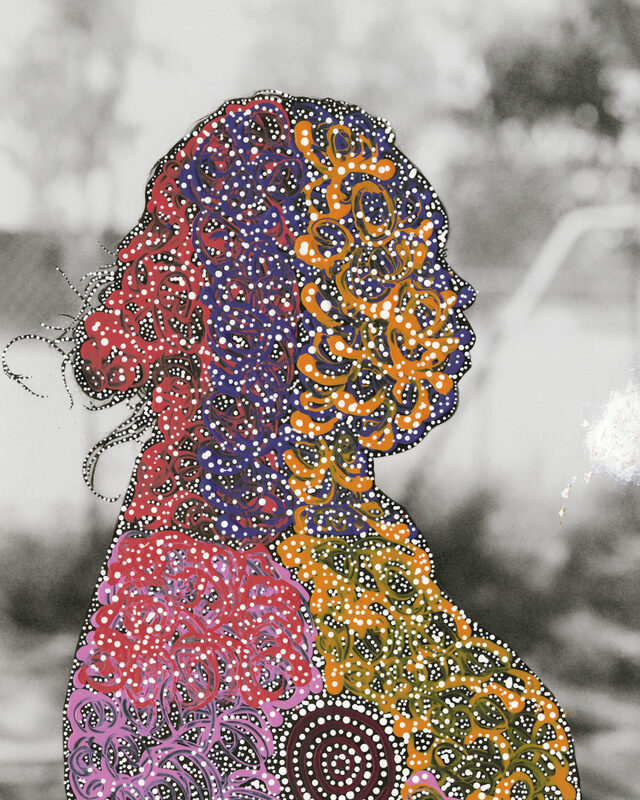 Attitudes toward these images have changed since they were celebrated as anthropological photography by colonialists in the late 1800s, and there is now much institutional uncertainty about how to approach the question of representation. 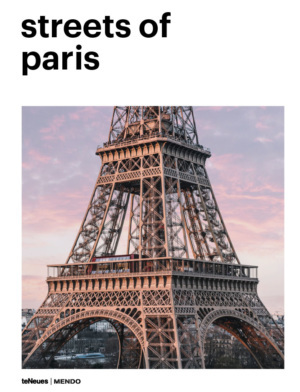 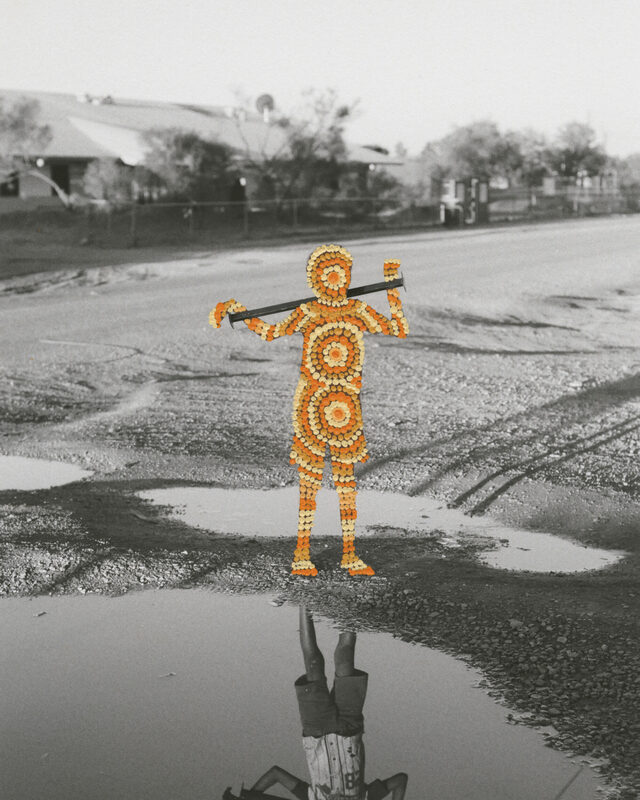 In response, British artist Patrick Waterhouse (born 1981) developed a collaborative venture to symbolically return to these communities agency over their own images. 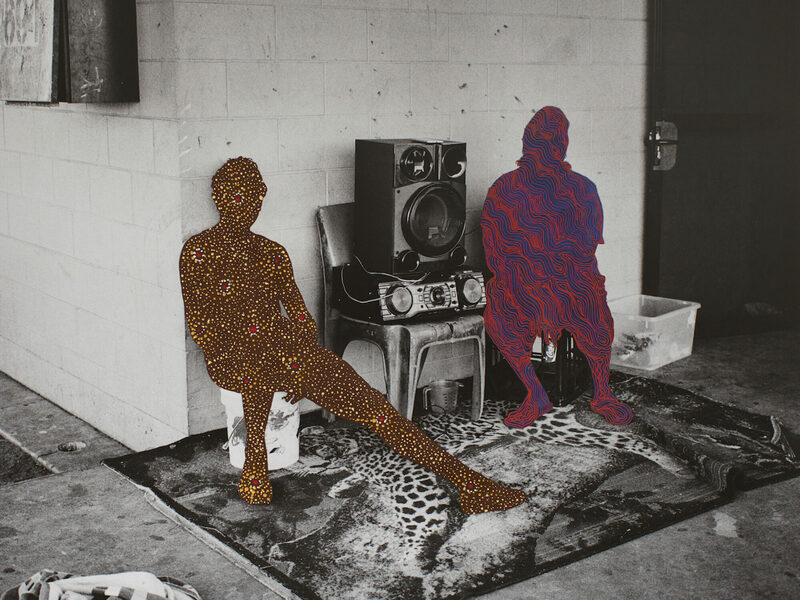 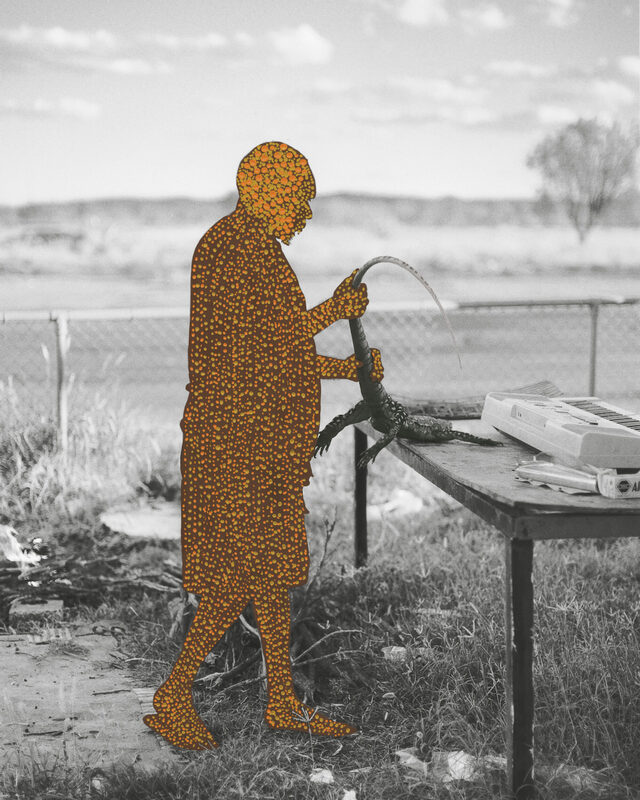 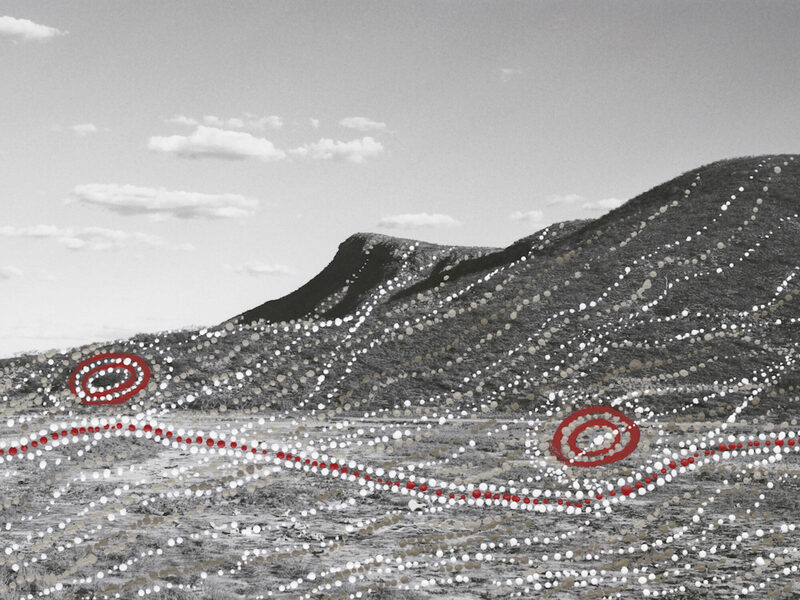 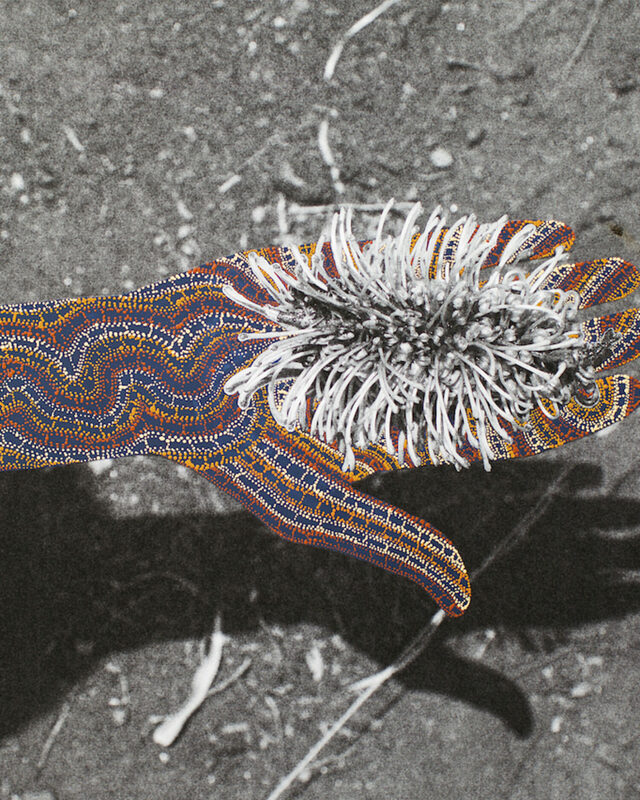 After several years photographing them, he made prints and then invited the Warlpiri to paint the surfaces of the images using the traditional technique of dot painting and thus enact their own restrictions upon them.